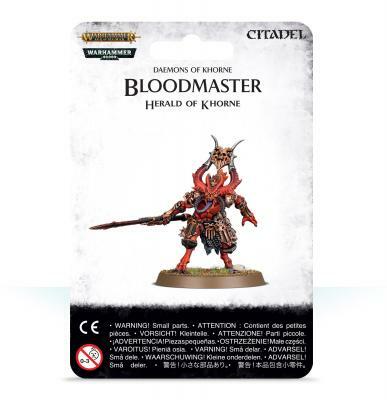 Bloodmasters are a must-have in any Khorne army, whether you’re conquering the 41st Millennium or the Mortal Realms. As well as being deadly combatants in their own right, these champions of the Blood God will also make your Bloodletters even deadlier with handy aura abilities. In this set, you'll find everything you need to build your own Bloodmaster. Styled after the Bloodletters he leads, but larger and wearing extra armour, he'll look right at home on the front lines of your army. This set is supplied in 14 plastic components and is supplied with a 40mm round base.